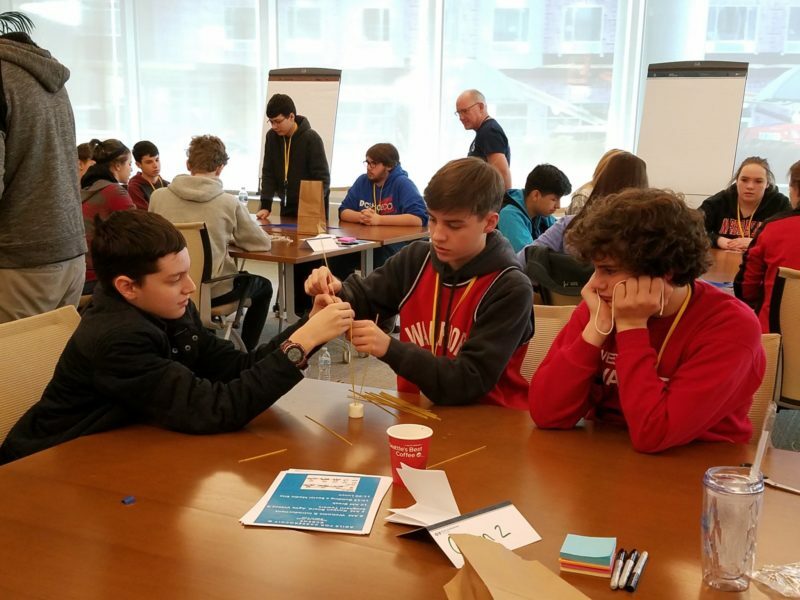 Getting agile took on new meaning for Westside high school freshmen and sophomores recently when they visited Blue Cross and Blue Shield of Nebraska (BCBSNE) for a Greater Omaha Chamber Careerockit event. Careerockit pairs elementary through post-secondary students with businesses and nonprofits to create career interest and grow the area’s talent pipeline by connecting organizations with future employees. Westside math students learned how BCBSNE uses Agile business methods to solve problems and get work done. Agile is a method of project management that divides tasks into short phases of work with frequent reassessment and adaption of plans. Westside math and science teacher Leah Markley said it’s a new way for students to see how work can be accomplished beyond having a teacher manage it for them. Markley said her classes will be adopting a Kanban board to keep the knowledge alive after their Careerockit experiences. A Kanban board is part of the Agile method, used to create a visualization of the work and workflow to communicate status, progress and issues that arise during a project. Gretna High School seniors took part in a capture the flag (CTF) Jeopardy–style exercise at BCBSNE. It’s similar to the actual game, using a scoreboard with different categories and point values. The students learn how to pick virtual locks and use other tools to learn more about cyber security. “This gives our students exposure to career possibilities and the chance to share real world experiences with professionals,” Jerome Skrdla, Gretna High School teacher, said. 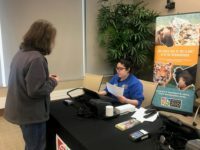 BCBSNE employees connected with 400 students from Platteview, Millard, Omaha, District 66 and Gretna Public Schools during Careerockit week.